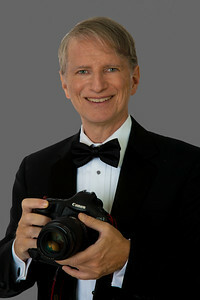 This is "Jeff Malet, Photography in Action": photography in and around the Washington D.C. metro area, specializing in photojournalism, and photography for the performing arts. In these galleries, I have attempted to capture a part of the spirit and cultural diversity of Washington DC. - it's great monuments and the machinery of government. Media inquiries, and republishing requests are welcome. Many photos in this gallery are available for license or reprint. I can cover your event or performance. Click the Contact link in the menu at the top for a free quote. 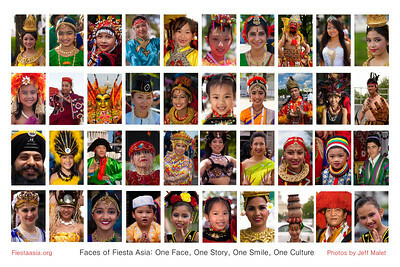 My exhibition "Faces of Fiesta Asia" photos by Jeff Malet at the Ronald Reagan Building and International Trade Center in Washington D.C. was held during the month of May 2014. http://www.maletphoto.com/Dance/Asian-Dance/Faces-of-Fiesta-Asia/38910495_DpwVLm#!i=3217077550&k=v3GSs8L I would very much like to hear from you and welcome your comments. Please come back again as these images are continuously updated. Here is a partial list of my credits. Photographer to Newscom and SIPA USA wire services. A regular contributor to TalkingPointsMemo, Salon, The Week, the Smithsonian Institution, the US Navy Memorial, the Georgetowner and the Downtowner. Credits include the Washington Post , New York Times, New York Magazine, Newsweek, Bloomberg, U.S. News & World Report, the New Yorker, the Huffington Post, Cosmopolitan, Wall Street Journal, the Newseum, The Heritage Foundation, Rolling Stone, Vanity Fair Spain, Good Housekeeping, Chicago Sun-Times, Smithsonian Institution, Folger Shakespeare Theatre, Washington Savoyards Light Opera, Washington Ballet, Bowen McCauley Dance, Jane Franklin Dance, Bettmann Dances, McLean Drama Company, Democratic National Committee, MSNBC the Rachel Maddow Show, Andrea Mitchell Reports, Hardball with Chris Matthews, All In With Chris Hayes, The Daily Rundown with Chuck Todd, Countdown with Keith Olbermann, the Grio, FoxNews Fox and Friends, ABC7/WJLA-TV "Working Women", PBS Newshour, PBS "MAKERS: Women Who Make America" documentary, NPR (National Public Radio), Slate, the Examiner, Politico, USA Today, USA Weekend, National Review Online, Tea Party Review, the Washingtonian, Washington Life Magazine, msn.com, Roll Call, The Hill, The Daily Beast, Forbes, Christian Science Monitor, The Daily Signal, Investor's Business Daily, Dance Teacher Magazine, Now Guide, Hill Rag, DC Magazine, MLB.com (Major League Baseball), Cleveland Indians, LA Dodgers, ESPN Front Row, Washington Where, Library of Congress, American Library Association, US Navy, Ira and Leonore Gershwin Trust, American Theatre, theatreWashington Guide, Washington Jewish Week, Jewish Exponent, Jewish Journal, Jewish Voice, The Jewish Chronicle, Baltimore Jewish Times, National Catholic Reporter, La Vie - Catholicisme, American Spectator, San Francisco Sentinel, Military Times, Nature Medicine, Harlem Times, Armchair General Magazine, Aviation Week and Space Technology, Spirit of '45, Reason Magazine, Wonkette, World Magazine, We The People Conservative News, Brooklyn Daily Eagle, National Law Review, Knoxville Metro Pulse, The Chronicle of Philanthropy, American Government & Politics Today, MD Theatre Guide, DC Theatre Scene, Broadwayworld.com, San Francisco Sentinel, Communities Digital News, Bisnow, Georgetown Dish, Governing, World Records Academy, DC North, GovernmentExecutive.com, Electric Co-op Today, American Society of Civil Engineers, Pittston Dispatch, Greater Pittston Progress, Harvard Crimson, University of Chicago Magazine, Dodger Insider, BlueStone Press, Washington International Horse Show, Asia Heritage Foundation, Asian Fortune News, American Architectural Foundation, Carnegie Mellon University, New Endeavors by Women, ShowBizRadio, Casino.org, St. Patrick's Catholic Church (Wash), Blinded Veterans Association, Steptoe & Johnson LLP, Lamda Legal, Fashion Institute of Design & Merchandising, American Shipbuilding Suppliers Association, Energy Equipment and Infrastructure Alliance, The Truman National Security Project, McDonalds Corporation, El Paso Inc, U.S. Senator Kirsten Gillibrand's book "Off the Sidelines". "History of the Chief : Legacy of Excellence". Featured in the Annual Reports of The Smithsonian Institution, the Newseum and the US Navy Memorial; and the cover page photo of The Georgetowner, The Downtowner, DC North and Reason Magazine. Performance Venues: The Kennedy Center, Sidney Harman Hall, Folger Shakespeare Theatre, Verizon Center, Strathmore Music Center, Signature Theater, Atlas Performing Arts Center, Woolly Mammoth Theatre, Synetic Theater, Artisphere, DAR Constitution Hall, Warehouse Theater, Alden Theatre, Burke Theater, Flashpoint Theater, Smithsonian Institution, National Gallery of Art, National Portrait Gallery. For 5 years my "DC Scene" feature photos page ran in every issue of The Georgetowner and The Downtowner. Media inquiries, and republishing requests are welcome. I can cover your event or performance. Many photos in this gallery are available for license or reprint. Email Me for a free quote at maletphoto@aol.com.